5 YRS Guangzhou Xingyuan Inflatable Co., Ltd.
5 YRS Shenzhen Promo China Gifts Co., Ltd.
1 YRS Yiwu Senheng Eco-Technologies Co., Ltd.
16 YRS Bemay Toy Co., Ltd.
5 YRS Shenzhen Union Promo Technology Co., Ltd.
4 YRS Shantou Zhorya Toys Co., Ltd.
7 YRS Xuzhou Haiying Arts & Crafts Co., Ltd.
4 YRS Amy & Benton Toys And Gifts Co., Ltd.
15 YRS Ballstar Toys And Promotions Co., Ltd.
2 YRS Ningbo H&W Sporting Goods Co., Ltd.
1 YRS Jinhua Meiyang Crafts Co., Ltd.
1 YRS Shenzhen Fuyang Industrial Co., Ltd.
4 YRS Bubble Inflatable Products Xiamen Co., Ltd.
1 YRS Xiamen Formore Trade Co., Ltd.
2 YRS Ningbo Fenghui Arts & Crafts Co., Ltd. Shipment is to be made by sea. If u want to custom color or size,the delivery time will be longer than 3 days. It is based on the actual to contact us for more information! 2 YRS Shenzhen Homi Tech. Co., Ltd.
15 YRS Guangdong Shantou Dihua Toys Co., Ltd.
2 YRS Dongguan Fu Kang Plush Toys Co., Ltd.
2.We offer you professional service in fluent English. 6.Customized sizes and color from pantone number. 8.Good service before and after the sale. 7 YRS Dongyang Soolike Home Textiles Co., Ltd.
6 YRS Jinhua Zhaohong Gifts & Crafts Co., Ltd.
4 YRS Dongguan Xin Jie Toy Co., Ltd.
2 YRS Hangzhou WAYNEPLUS Trading Co., Ltd.
11 YRS A.S. 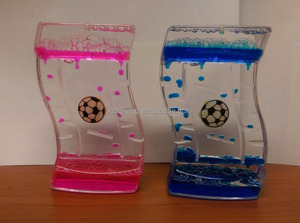 Plastic Toys Co., Ltd.
6 YRS Shenzhen Skyline Toys & Gifts Ltd.
2 YRS Zhejiang Yuchen International Trading Co., Ltd.
4 YRS Yiwu Zhuchuang Toys Co., Ltd.
13 YRS Shenzhen Mingli Toys Manufacturing Co., Ltd. Features: 1. Material: PU FOAM 2. 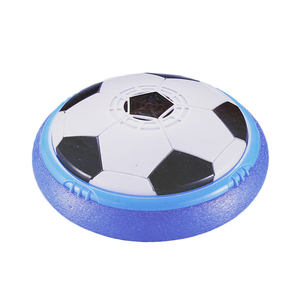 Size: We can do any size and any shape and any design for the PU products. 3. Design: any color, any design, any logo. 6. Samples time: within 3 days for our existing samples; 10-15 days to do new molding samples as your request. 2 YRS Shantou Huada Toys Imp. & Exp. Trading Co., Ltd.
7 YRS Yiwu Eco-Artifact Co., Ltd.
1 YRS Ningbo Mega International Trade Co., Ltd.
4 YRS Shantou Combuy Toys&Gifts Co., Ltd.
3 YRS Ningbo Hongmeng Crafts Co., Ltd.
8 YRS Yiwu Mart Toys Co., Ltd.
2 YRS Taizhou Flying Forever Pet Supplies Co., Ltd.
Alibaba.com offers 27,609 football toy products. About 33% of these are toy balls, 12% are other toys & hobbies, and 10% are football & soccer. 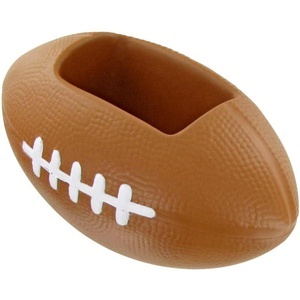 A wide variety of football toy options are available to you, such as stress ball, water ball, and skip ball. You can also choose from foam, pu, and plastic. 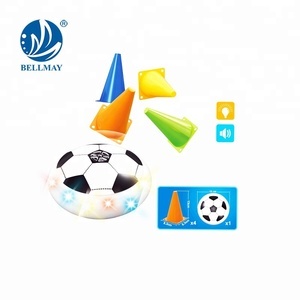 As well as from promotional toy, sports toy, and inflatable toy. 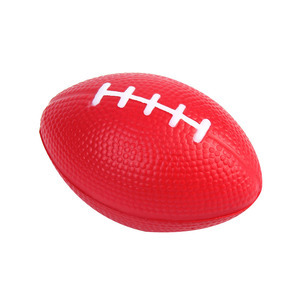 And whether football toy is abs, ps, or pc. 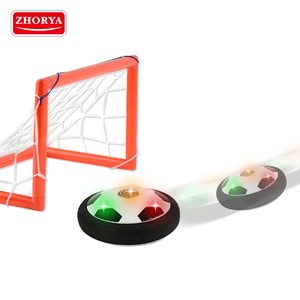 There are 27,609 football toy suppliers, mainly located in Asia. 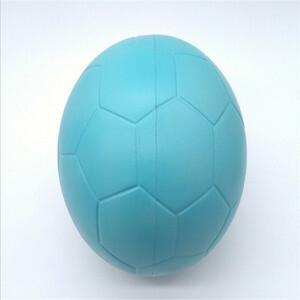 The top supplying country is China (Mainland), which supply 100% of football toy respectively. 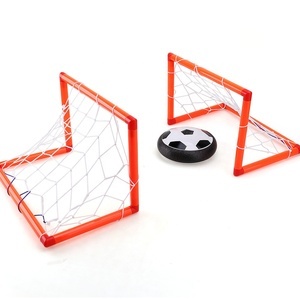 Football toy products are most popular in North America, Western Europe, and South America. You can ensure product safety by selecting from certified suppliers, including 2,635 with ISO9001, 2,315 with Other, and 558 with BSCI certification.